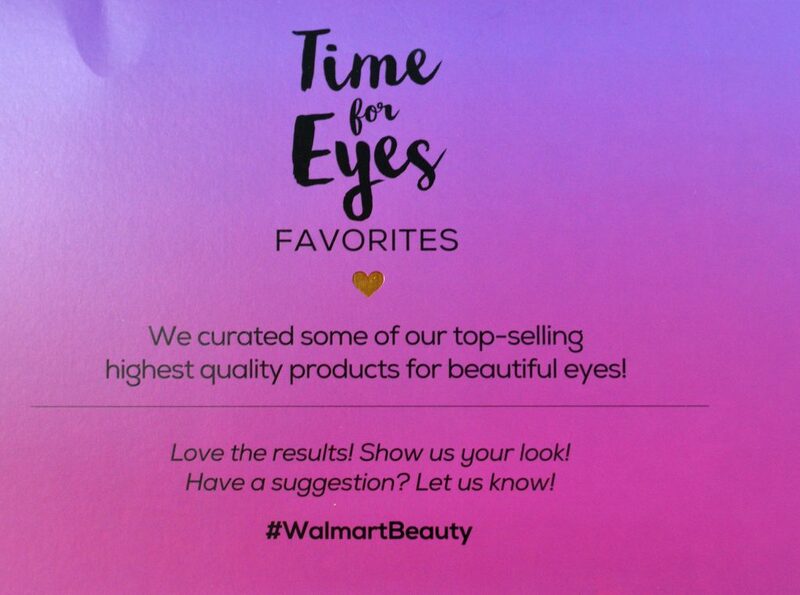 Did you know that Walmart Beauty has favorite value sets?? 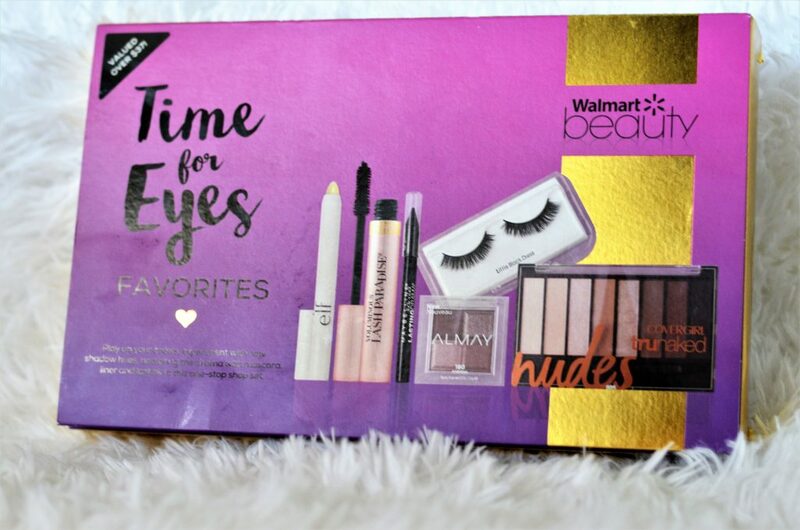 The other day when I was shopping the makeup section at a local Walmart, I stumbled upon a few value sets that were just the cutest! I am a big fan of the Sephora Favorite value sets and the Ulta ones as well. Basically, if you’ve never heard of one, they are sets with multiple items from various brands in it that you can try. For instance, I purchased a Sephora Favorites mascara set and it came with deluxe sizes of Lancome, Tarte, Buxom, Bobbi Brown, and Urban Decay. I was completely thrilled to see the same concept at Walmart! And from what I can tell, these are full-size products- at least in the one I’ve purchased! Score! The one I picked up is called Time for Eyes and it has various products for your eyes (obviously). There was another glow set that had highlighters, setting sprays, and more. On the website, I found a few more options: Latest in Lips, Refresh Renew Extend (hair), Love my Curls and Influenced by Nature. 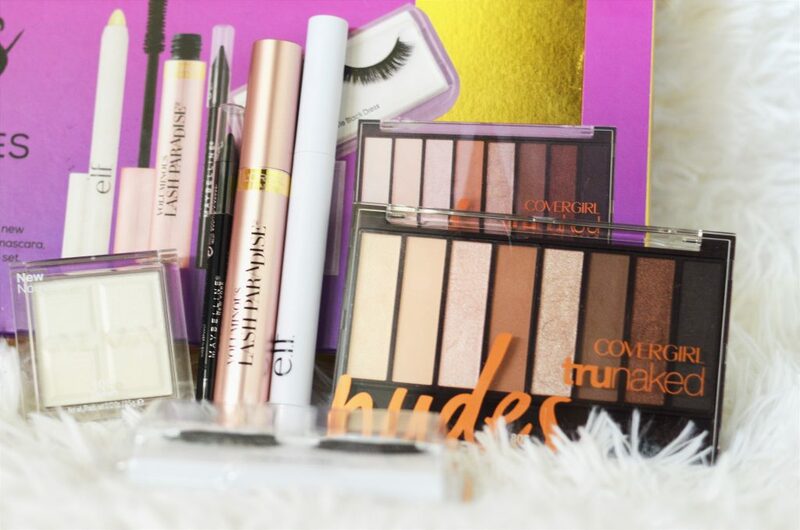 All of these Walmart beauty sets are under $10! 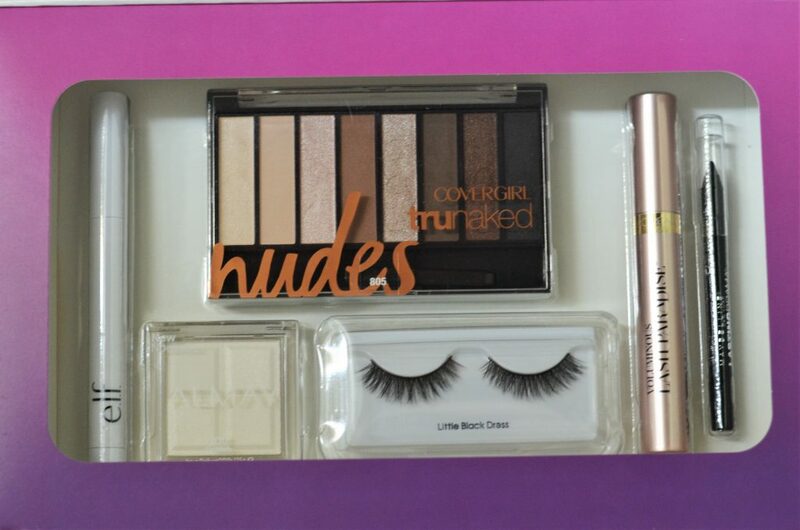 The Time for Eyes favorites set came with 6 items: L’Oreal Lash Paradise Mascara, Covergirl Nudes eyeshadow palette, e.l.f wax brow crayon, Almay eyeshadow quad in white, Kiss lashes, and Maybelline eyeliner. 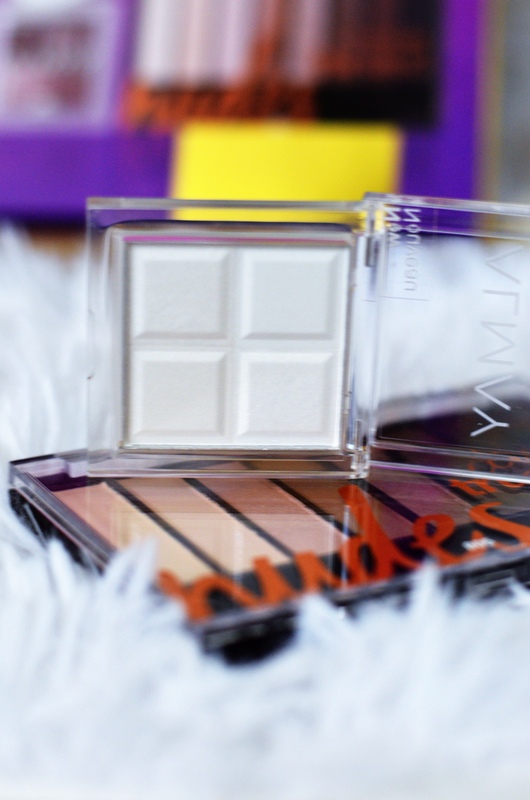 One reason I picked up this one because I actually had never owned any of these products! I thought it would be a great way to sample some new to me drugstore makeup. 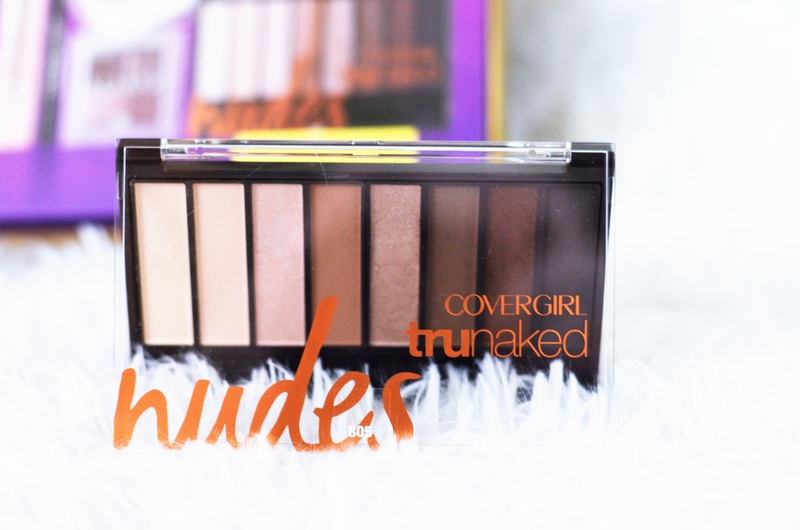 Honestly, I haven’t really liked many Covergirl products, not sure why, but they’ve never been a favorite. So I had pretty low expectations for this palette but was pleasantly surprised! 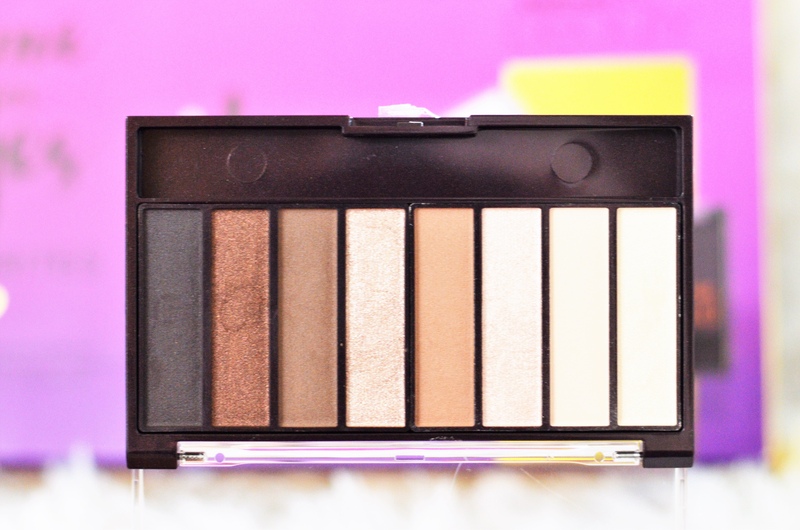 The mattes in this little palette are amazing! I love to use them on a light makeup day just to add a bit of definition. I will say you can almost over blend and blend the darker shades away- but if you’re easy they will be perfect! However, I wasn’t overly impressed with the shimmer shadows in the palette. I could find much better ones in my collection. My mom loves this mascara but when I tried hers one time I wasn’t a big fan. But this tube of it was different! I really loved this mascara this time! The brush is a little big for my taste but it does get a good amount of product on my lashes. 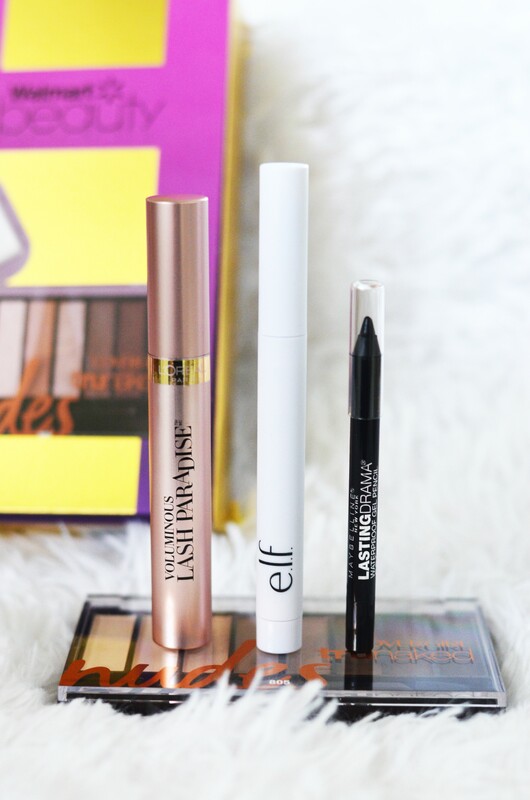 I couldn’t find the amount listed on this set but I’m pretty sure it is the full-size mascara which usually costs over $9 alone so it is definitely worth it! I’m still a little confused by this one. It is a quad but all of the little sections are white. What I do know is that each square of the quad is a different finish. So one square is matte, one is satin, one is glitter, and lastly metallic. I’m looking forward to testing out this product a little more! But it is a great size! 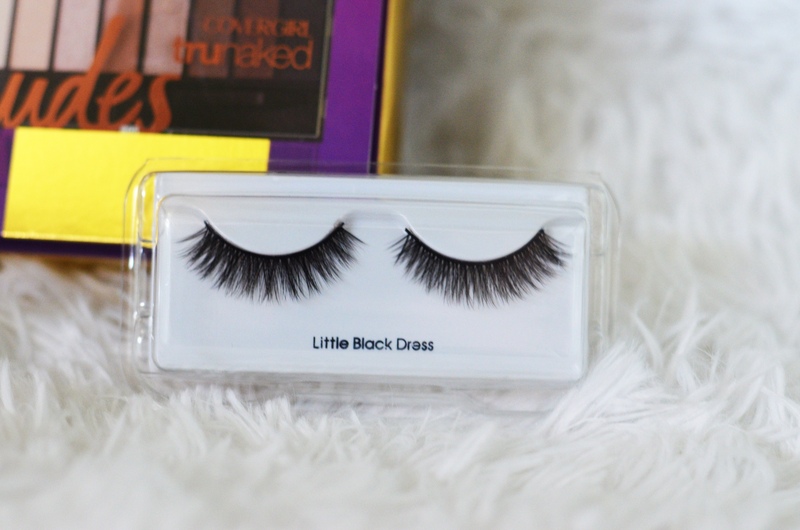 I haven’t tried these lashes on yet, but they look stunning! I’ve used Kiss lashes in the past and really enjoy them. This pair is faux mink and pretty full. I would definitely consider these party or night out lashes! When I first saw this product I was less than excited. But now having used it- I’m a fan! I am still learning what my favorite way to do my brows are but I think this is a definite must-have for them! I have been using a pencil to fill them in and then finishing them off with this wax crayon to set them in place. I mean who doesn’t love a classic black liner? I like crayon like liners for my bottom lashes. I use liquid on the top 90% of the time but this kind of liner is perfect to smudge under the bottom lash line! So far it is a pretty good liner! 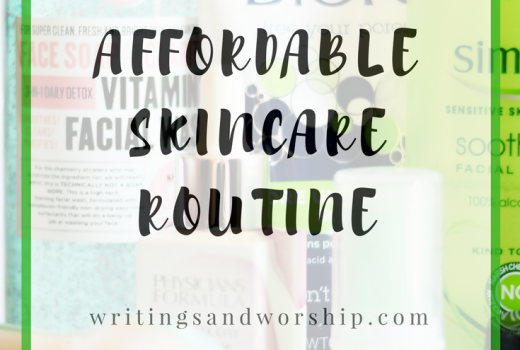 If you’re looking for a great way to try some new drugstore items and brands, this is for you! I was honestly surprised how awesome this set was! Are y’all interested in seeing a review of any of the others? Let me know if that is something you’d be interested in! I highly recommend you try one of these. Either look at your local Walmart or check online!